In two days' time, Papa Red will visit the young elephants and take the gifts they leave to give to those who might need them. But this year, Elmer has a treat in store if the young elephants are very quiet. 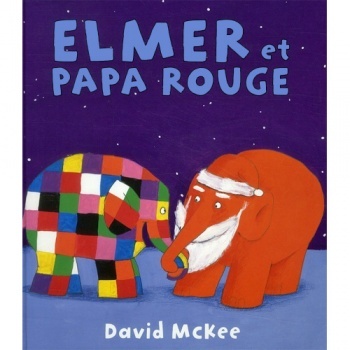 Elmer et Papa Rouge is written entirely in French as it is aimed at native French speakers. The language is fairly difficult and this would be best suited to someone with reasonably strong French language skills.